Colorado Springs Criminal Defense Attorney - Christian A. Schwaner, P.C. The Colorado criminal justice system is like a maze to the uninitiated, with complex and arcane rules of evidence and civil procedure to trap the unwary. In this environment, representing yourself makes about as much sense as performing surgery on yourself – and selecting the wrong criminal defense attorney could turn out to be just as dangerous as allowing a quack to remove your appendix. The American criminal justice system is adversarial, both in theory and practice, and it certainly doesn’t pay to be “nice” in the face of a criminal charge in the hopes of leniency. What you need to beat your criminal charge is “reasonable doubt.” In the absence of that, you need a shrewd plea bargain. There simply is no substitute when your freedom is on the line. Hire a Colorado Springs criminal defense lawyer that knows the system very well and can defend you against the charges. My name is Christian Schwaner, and I am an aggressive and experienced Colorado criminal defense attorney. I am a sole practitioner, not a partner at a mega-firm who quickly loses interest in any client who is not an accused mob boss or a drug smuggler. This means you can be guaranteed that I will give your case the personal attention it deserves, with an eye for every factual nuance that could help you. More than any other factor, what sets me apart from other criminal defense attorneys in Colorado is my experience as a prosecutor. Due to this experience, I thoroughly understand prosecutorial minds, and I can anticipate their strategy. Having “played both sides of the chessboard” provides me with a unique perspective that can work to your benefit in a thousand different ways. My practice features a particular focus on DUI and related charges, including marijuana DUI charges. 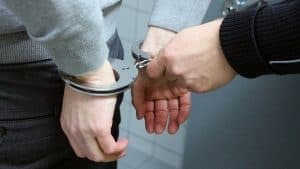 Unfortunately, Colorado is one of the worst states to face a DUI charge – it is easy to fall afoul of Colorado’s restrictive laws, and it is difficult to bear the penalties that are typically imposed. You will need an experienced DUI lawyer who understands every nuance of the Colorado criminal justice system. That would be me. Your future, your freedom, your reputation, and your peace of mind are all put in jeopardy the moment when a criminal charge is filed against you. You can rest assured that as your criminal defense lawyer, I will respond to your peril by fighting aggressively when necessary, shrewdly when appropriate, and fearlessly at all times. You deserve no less. DUI Marijuana Defense: The legalization of the recreational use of marijuana in Colorado hasn’t changed the penalties that apply to drivers convicted of a marijuana DUI – they are just as serious as the penalties that apply to drunk drivers. Handling the defense of a marijuana DUI case involves special considerations, however, especially concerning the type of evidence that can be used against you. DUI Defense: Colorado applies some of the strictest DUI penalties in the nation, and you can be convicted of drunken driving with a Blood Alcohol Content (BAC) of 0.05 or even lower. In addition, you could lose your job and, if you are a commercial driver, the state could revoke your commercial license. Domestic Violence: In Colorado, domestic violence is not a separate charge, but a designation that can increase your penalty for the underlying crime to which the domestic violence designation has been attached. Once the domestic violence designation kicks in, the criminal justice system is rigged against you in many ways. Military Personnel Charged with DUI: A DUI conviction is a serious matter for a member of the armed forces, because once the civilian courts finish with you, a military disciplinary tribunal can impose additional penalties even if your DUI arrest occurred off base. Acquittal in civilian court greatly improves your chances at a military disciplinary tribunal. Felony Crimes: Conviction of a felony usually results in prison time. At the same time, you lose many of your civil rights (voting and gun ownership, to name but a few), some of which endure permanently. Even in cases where an acquittal is not possible, it might be possible to have your charge reduced to a misdemeanor. Drug Possession and Distribution: Although penalties for drug possession and distribution vary widely, you could end up serving decades in prison in some cases. You can even be imprisoned for possession of a sufficient quantity of marijuana. Many potentially promising defenses are available, however, depending on the details of your case. What happens if I refuse to take a blood, breath, or urine test in a DUI stop? Your driver’s license will be suspended for at least a year, and your refusal won’t prevent the prosecutor from prosecuting you for DUI anyway. Your refusal can also be used against you at a DUI trial. I have been charged with driving under the influence of marijuana and alcohol, even though I did not test above the legal limit for either of these two substances. Can I beat this charge? Maybe, maybe not. It is possible for the state to get a conviction by proving that your overall level of intoxication from both substances combined rendered you an impaired driver. What is “Driving While Ability Impaired” (DWAI)? DWAI is essentially a “junior DUI” for drivers with a Blood Alcohol Concentration (BAC) of between 0.05 and 0.08. Penalties are marginally less severe than DUI penalties, but conviction can result in up to 180 days in jail. It is even possible to be convicted of DWAI with a BAC of less than 0.05. What rights do I lose in a domestic violence complaint? What additional risks do I face for a DUI conviction as a member of the armed services? In addition to a criminal conviction, you could be subject to military discipline. This is not considered “double jeopardy.” You may be subject to a variety of possible penalties, including immediate discharge from the military. I specialize in military criminal defense in Colorado. Contact me for a more specific answer based on your situation. What are some of the collateral consequences of conviction of a felony? In a plea bargain, the defendant agrees to plead guilty to a less serious crime in exchange for the prosecutor’s recommendation to the judge to dismiss the original charge. Since this means there will be no trial, prosecutors do this in order to reduce crowded trial dockets. Now that marijuana is legal for recreational use, can I still be convicted of a marijuana-related criminal offense? Can I be charged with a felony for a DUI? Yes. Under Colorado’s felony DUI law, a fourth offense is a felony. It is important to note that Colorado has no “lookback period” – if you were convicted of successive DUIs in 1978, 1981 and 1982, for example, a new offense would still be considered a fourth offense. Your choice of criminal defense attorney could turn out to be one of the most important decisions you have ever made in your entire life. An ineffective defense could land you in jail, cost you your job, or – in the case of more serious offenses – take years of freedom away from you. You need a criminal defense lawyer who knows the system inside out. My clients are people to me, not faceless case numbers. As your criminal defense lawyer, I will make myself available to you as you require. I will not hand off your case to a junior associate (since there is no such thing in my office), and I will speak with you personally about your questions and concerns. At all times, I will treat your cases as if I myself was the one being prosecuted. I have helped hundreds of clients successfully escape the Colorado criminal justice trap, and I stand ready and willing to assist you. If you have been charged with a crime in the Colorado Springs area, call me at 719-577-9700 or navigate to my online contact page for a free, no-obligation initial consultation of your case. If you are incarcerated, I can even meet you in jail.